Simon Mackintosh is a Trustee of the Ray and Diana Harryhausen Foundation. Simon is a solicitor at Turcan Connell, where he is Chairman of the Partnership. 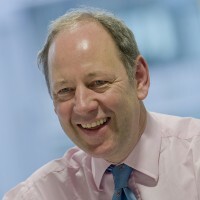 He has a long-standing involvement with the Harryhausen family and the Ray and Diana Harryhausen Foundation, and brings specialist knowledge of charity law and related matters to the Board of Trustees. Simon is accredited by the Law Society of Scotland as a Charity Law specialist and was a member of the Scottish Charity Law Review Commission (the McFadden Commission) whose report led to the introduction of the Charities & Trustee Investment (Scotland) Act 2005. He sits on the Executive Committee of the UK-wide Charity Law Association and was sometime chair of The Law Society of Scotland’s Charity Law Sub-Committee. Simon works with charities particularly on issues of governance, regulation, formation and mergers, including tax aspects. His experience as a charity trustee includes serving on the board of the Edinburgh International Book Festival and chairing the Court of Directors of the Edinburgh Academy. He also recently completed a term as Chairman of the Scottish Episcopal Church Pension Trustees.